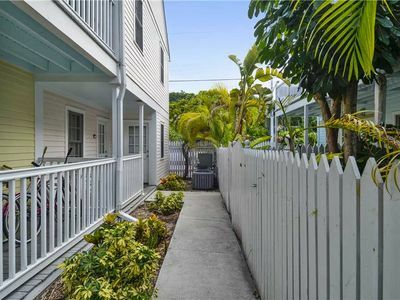 This condo is located on the Atlantic Ocean, within the resort community of Key Colony Beach in the heart of the beautiful Florida Keys. 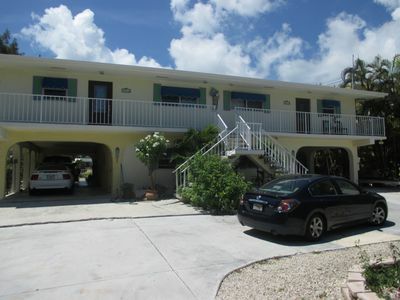 Key Colony Beach is a peaceful serene community known for its white sandy beaches and crystal clear ocean. 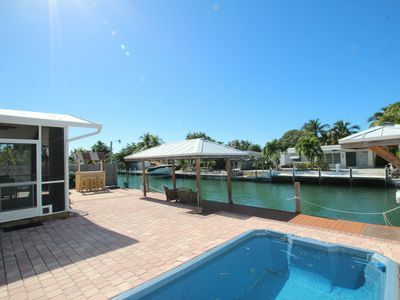 You will enjoy one of the few private fishing piers on the key, a large private white sand beach, and a beautiful heated pool. The fishing is great from the pier. 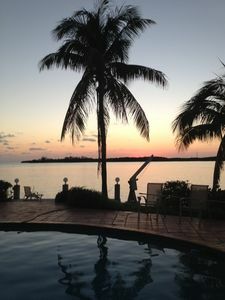 The Town of Key Colony Beach is located on an island directly off a causeway from the Town of Marathon. 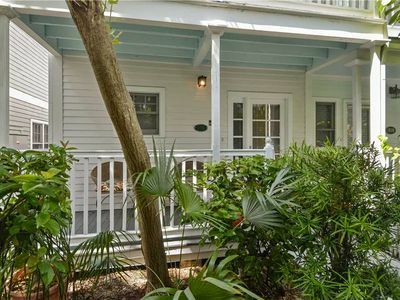 This condo has been nicely updated and features a complete kitchen and two large bedrooms. Each bedroom has a walk-in closet and a private full bath. One bedroom is has a king size bed and large dresser. The second bedroom is equipped with a set of bunk beds appropriate for children, two twin beds, and a large dresser. 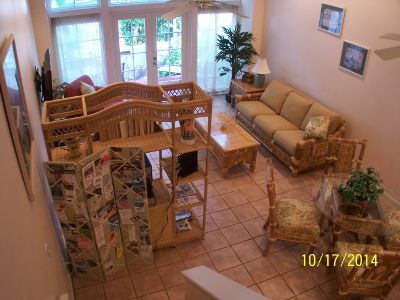 The furnishings include a stereo, cable TV, and free wifi. 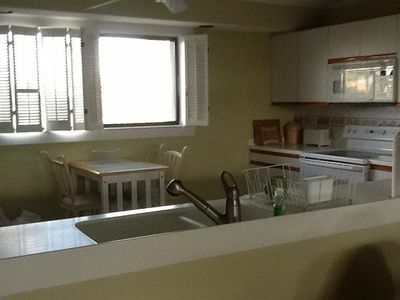 Our condo is on the ground level for easy access and parking is very close. 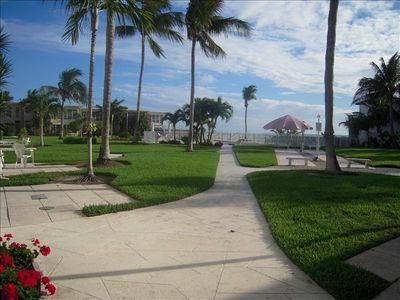 The complex is uncrowded with only 36 condos on a beautifully landscaped property. A full time on-site manager is available to assist you with your stay. 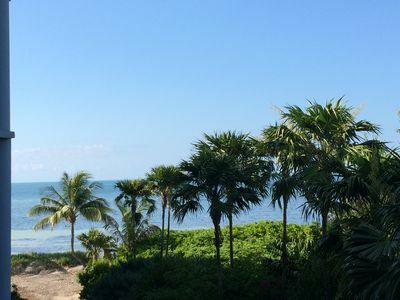 Key Colony Beach offers paths on which to bike, roller blade, walk or run. Sunset Park is a gathering place for magnificent sunsets. 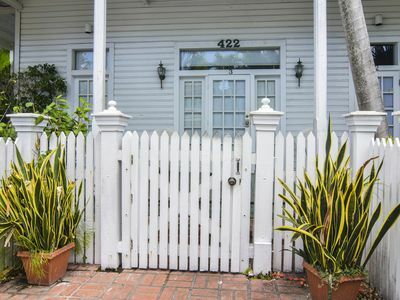 Three full service restaurants and a deli are within walking distance of the condo. A par three golf course is on the key, as well as Key Colony Beach Park and Recreation Area on which you can play horse shoes, bocce ball, pickle ball, tennis, or use the playground. 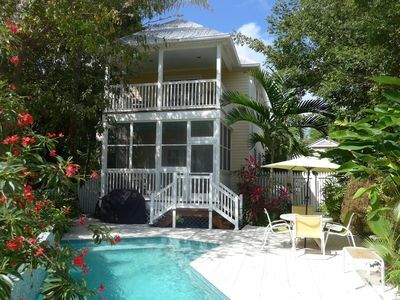 Access to off shore charter fishing, boat rentals, scuba diving, and snorkeling trips is within walking distance. 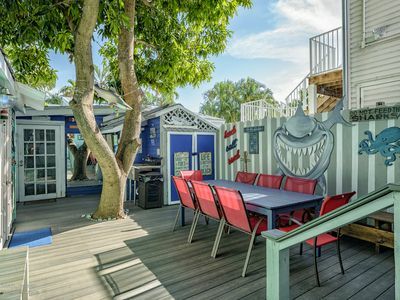 Points of interest a short distance from the condo include the Dolphin Research Center, Aquarium Encounters, and the Theater of the Sea. These facilities offer adults and children a variety of tours, shows, and sea life encounters. 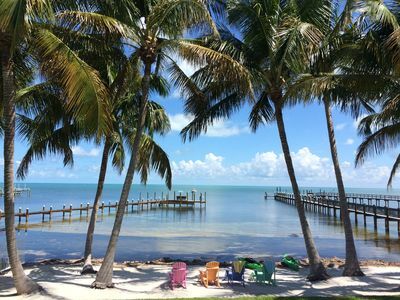 The Turtle Hospital, Crane Point Hammock, and the Pigeon Key historic site offer daily tours as well. 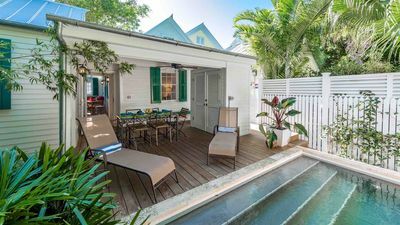 Key West is about an hour's drive south for those young at heart. 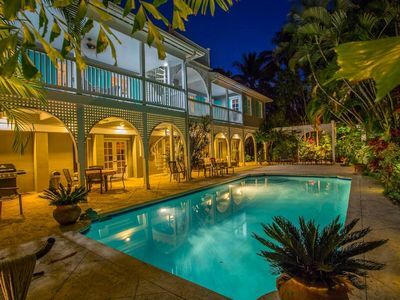 The Casa on Casa - spacious, elegant estate - large, lovely salt water pool!